« Fujifilm FujiColor Superia 110 is Coming Back! 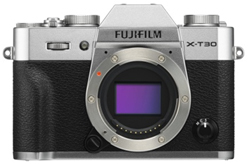 FUJIFILM Corporation (President: Kenji Sukeno) is delighted to announce two of its digital cameras have been crowned winners at the 2019 TIPA Awards. 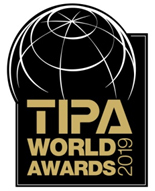 Widely recognized as the most coveted photo and imaging awards worldwide, the FUJIFILM GFX 50R medium format mirrorless digital camera and the FUJIFILM X-T30 mirrorless digital camera were both winners in the categories of BEST MEDIUM FORMAT CAMERA and BEST APS-C CAMERA ADVANCED respectively at the 2019 Technical Image Press Association awards (TIPA) *. Aimed at pros and advanced enthusiast photographers, the GFX 50R is equipped with an impressive 51.4MP 43.8 x 32.9 CMOS Sensor and powerful X-Processor Pro processing engine. The camera supports FUJIFILM’s iconic Film Simulation modes plus optimizes light gathering performance and image resolution for precise reproduction of the subject’s look and feel. Featuring a magnesium alloy body, the GFX 50R is weather-sealed in 64 places and is capable of operating in a wide temperature range. Lightweight and compact for its class, it also features enhanced connectivity with Bluetooth for pairing with a smartphone or tablet via the Fujifilm Camera Remote app. This affordable APS-C X Series camera sports a 26.1MP X-Trans CMOS 4 sensor with a new X-Processor 4 Quad Core CPU that provides impressively fast AF and accurate face detection. This compact and lightweight camera has numerous handling advancements, including a Focus Lever to quickly shift to a focus point and a very intuitive touch-screen panel. The X-T30 appeals to video creators as well, offering UHD 4K or Full HD 1080p as well as high quality audio recording without the need for additional gear. Built-in Wi-Fi and Bluetooth V4.2 offers communication with the Fujifilm Camera Remote app. FUJIFILM continues to work on the development of excellent products and services that address user needs, thereby contributing to the further development of photographic culture. *TIPA (Technical Image Press Association) is one of the most powerful and influential photographic industry organizations in the world with membership from 30 photo and imaging magazines in 14 countries, across five continents. Every year, it reviews image-related products released in Europe and awards the best product in each category. This entry was posted in Fujifilm GFX, Fujifilm GFX 50R, Fujifilm GFX 50S, Fujifilm X-T30, Press releases and tagged Fuji GFX, Fuji GFX 50R, Fuji GFX50R, Fuji Rumors, Fuji X-T30, Fuji XT30, Fujifilm, Fujifilm GFX 50R, Fujifilm GFX50R, Fujifilm Rumors, Fujifilm X-T30, FujifilmRumors, Fujirumors, GFX, GFX 50R, GFX50R, Medium Format, Super Full Frame, X-T30, XT30. Bookmark the permalink. Trackbacks are closed, but you can post a comment.